Gina Haran is an associate in the San Francisco office of Lewis Brisbois and a member of the Products Liability and Asbestos Litigation Practices. 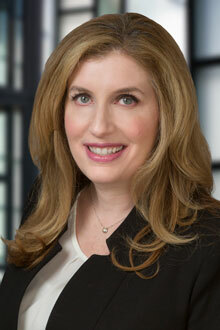 Ms. Haran has extensive experience in asbestos litigation representing manufacturers, suppliers and contractors. She conducts all aspects of case handling and trial preparation, including the development and implementation of litigation strategies. Throughout her career, Ms. Haran has successfully resolved numerous cases through dispositive motions, mediation and settlement conferences. She is a San Francisco native and attended the University of San Francisco where she majored in psychology and earned her law degree from San Francisco Law School.